I'm feeling kinda blue today. There was an article in this morning's Toronto Star about the opening of a new show at the Textile Museum of Canada: The Blues. The subject of the show is, well, blue stuff, indigo fabrics and the like. I'll probably go next week but it is on until March 2, 2008. And I'm thinkin' that we seem to have a great affinity for blue. About 16% of people surveyed (SURVEY SAYS!) blue is their favorite color. I know 16% isn't huge but this was the largest individual choice. Sorry I can't cite my source for this survey but since I found it on the net it must be true. When I was of an age where I actually listened to adults there was always talk about Paul Newman's gorgeous blue eyes. Mine are blue too, but more of a really cool acid-washed denim blue-gray. 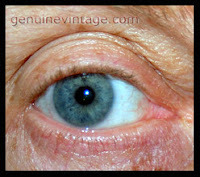 Today's factoid: according to Wikipedia, only about 8% of the world's population can claim having blue eyes. Lucky me. 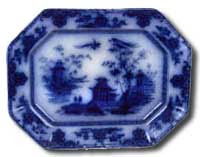 While I am drawn to blue, I don't collect any but many do collect blue: vintage denims and other indigo textiles; flow blue china; blue willow pattern china; cobalt blue glassware. That kind of stuff. There are a number of books around including one I really liked called, (the link will take you to Amazon.com), Blue & White Japan. 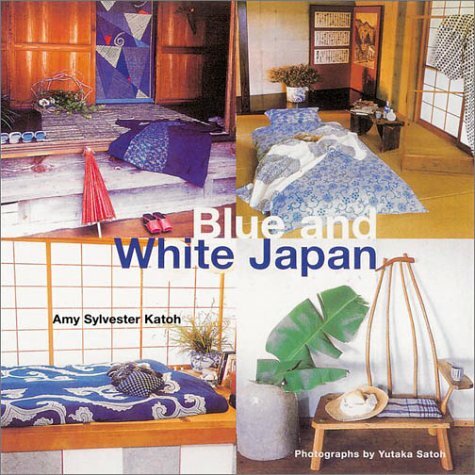 Title says it all: it's about blue and white in Japan and the photos are lush. As I said, I've always been drawn to blue, and even though it's the world's favorite color, I can't say that it's my favorite color. My favorites change all the time. And I'm nothing if not inconsistent. I contradict myself? Very well then I contradict myself. I am large. I contain multitudes.